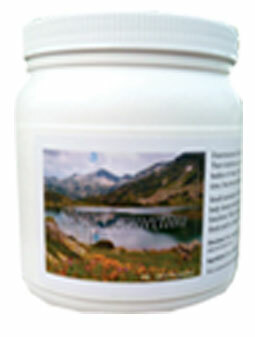 Genuine Perma-Guard food grade diatomaceous earth, made up of tiny Diatom shells, which are not a food. They do not digest (except some of the trace minerals). They pass all the way through the body. Everything it does is either physical action or electrical action. The Diatom shell is a little cylinder full of holes. It resembles Rice Chex© cereal. The cylinders have a powerful negative charge and the holes are the right size to absorb positively charged viruses and bacteria, hold them, and take them out of the body. Each shell can hold many positive particles. Ingredients: Fresh water "Food Grade" Diatomaceous Earth (89.9% Silica dioxide, 28 Trace minerals.